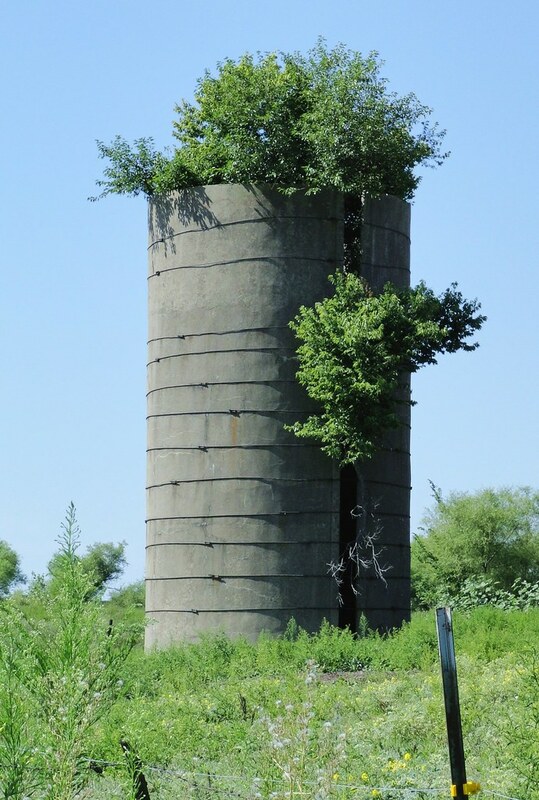 This is not a new phenomenon; plants and trees have rooted where ever habitable, but recently The New York Times wrote about trees taking root in the shelter of abandoned silos. There is even a Flickr group devoted to these trees. The oldest photograph in this group dates back to the summer of 2008. Dwindling agriculture, through the rise of major factory farms, caused many family farms to close. As The New York Times states, "because it can be more expensive to tear these down than to leave the task to time, they are left to teeter." 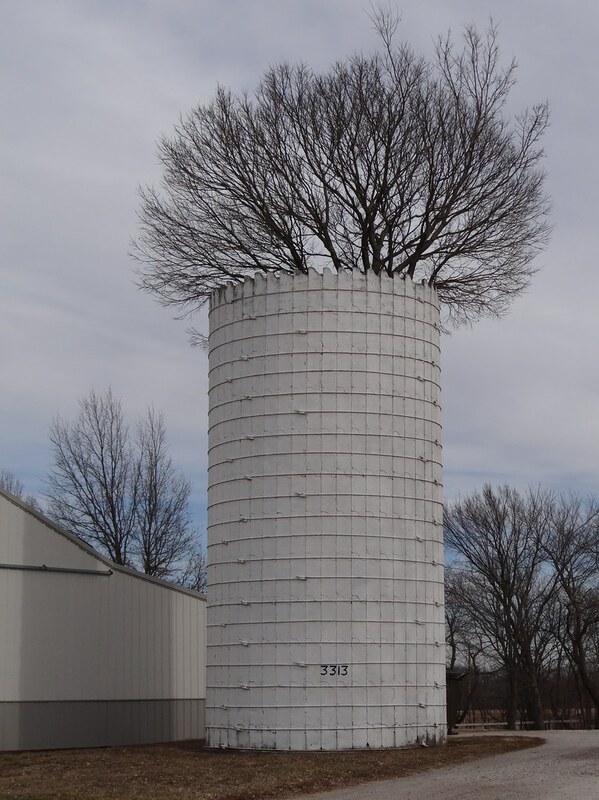 The collapse of small farms left silos barren for decades. They became free for mother-nature to re-imagine herself. It brings me great joy to see nature reclaim these structures. Perhaps, now more that ever, with the Mayan Calendar ending in 2012, people often wonder about the end of the world--but it is a misnomer. The world will not end, just the era of man. Earth is a resilient planet. It has transformed and replenished itself over and over, and these silos are just a sprinkling of its possibilities. Though it has moments of ridiculousness, there was a series on the History Channel called Life After People that goes in-depth on how nature may reclaim the structures. It has twenty episodes, ranging from the fact based ideas of trees growing in crumbling buildings to cats learning to fly. Can't wait. Or, with much less schadenfreude, they can be seen as a friendly reminder: As we try to pull ourselves out of the fiscal and environmental recession, perhaps we should return to natural living try and mimic the ecosystem. After-all, it has persevered at least a century of direct destruction, pollution, yet continues to grow.